The wild island of Huahine is just a short flight from Tahiti, and just 20 minutes from Bora Bora. You'll be enchanted by this historical island, its exceptional marine life, its dense tropical vegetation, the numerous excursions and the warm welcome of the inhabitants. 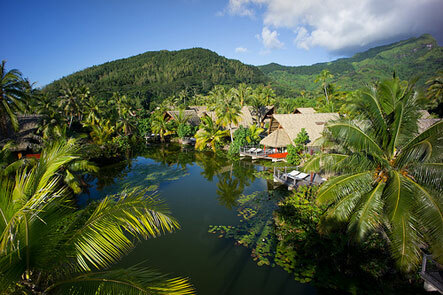 Avid travellers and explorers in search of an authentic island paradise will find what they are looking for. 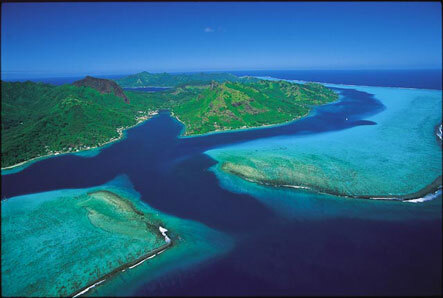 Huahine is composed of two islands separated by a pass and connected by the bridge of Maroe. 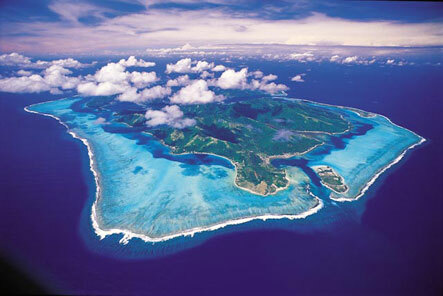 Huahine extends over 12km wide and 17km long, and the two islands are inhabited with a total population of 6,400 people. It's possible to go around the island by bicycle, though the road may seem long and difficult. Alternatively, on a quad bike you can enjoy the landscape without getting tired. Huahine is truly a dream destination. Take a moment to visit our photo gallery to catch a glimpse of the magnificence of this island. The Lapita people are associated with the Austronesian people originating from Southeast Asia, who appeared around 2000 BC in the islands of Melanesia (Bismarck). The Lapita people were great maritime voyagers. Indeed, they conquered Oceania from Melanesia to Polynesia, confronting the open ocean in large sailing canoes fitted with outriggers. They used navigation techniques relating to their knowledge of the sea and the sky (wind, ocean currents, clouds, stars, bird migration...). The Lapita people were the ancestors of the Polynesians. These were people of the sea that dispersed throughout Micronesia (Marianas and Marshall Islands...), and Melanesia (Papua New Guinea, Solomon Islands...), reaching western Polynesia (Fiji, Tonga, Samoa), between the years 1600 and 1000 BC. The rest of Polynesia was populated a century later, including the Cook Islands, the Marquesas and Society Islands. Then from these groups of islands, Easter Island, New Zealand, and the Hawaiian Islands were populated. Hierarchical social structures corresponding to the Lapita culture ultimately developed a veritable class society including kings and high priests.